Men walk towards the city's main square early morning. In the back dozens of little restaurants that cater to tourists on high season. Man sits in a restaurant quietly while others shop outside. Fruit vendor makes jokes and laughs with other villager. 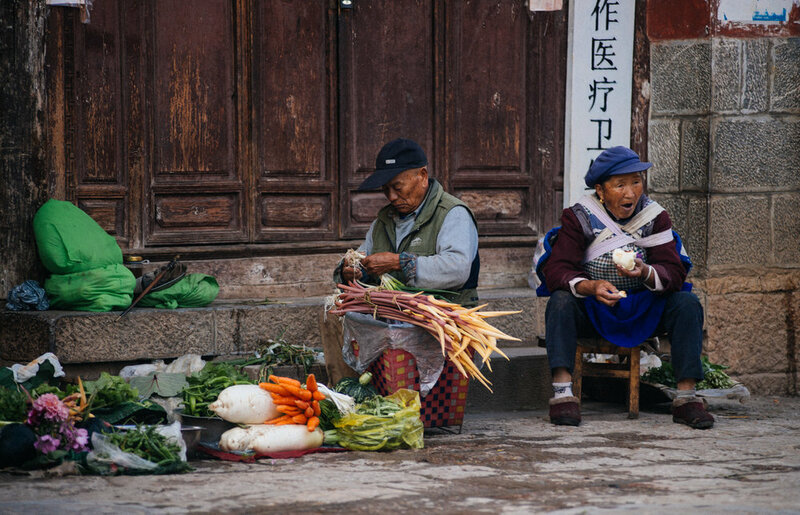 Naxi women sell produce in the village main square. Baisha village is on the foothills of the Himalayas. In the back is the Snow Jade Dragon Mountain. As most places in China, grandmothers take care of children while the parents go to bigger cities for better jobs and send money home. Two Chinese tourists browse souvenir and antique shops in the evening. Woman carries two buckets of water while two other women, dressed in a more modern fashion, head back to work, most likely at the restaurants close to the frescoes where all the tourists are taken. 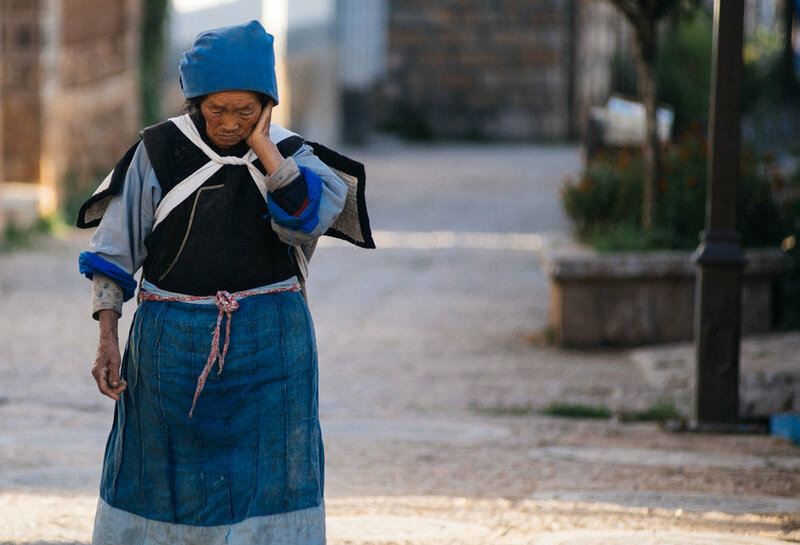 Naxi woman walks to work with an empty basket on her back. Early morning these two vendors get ready to sell their produce. 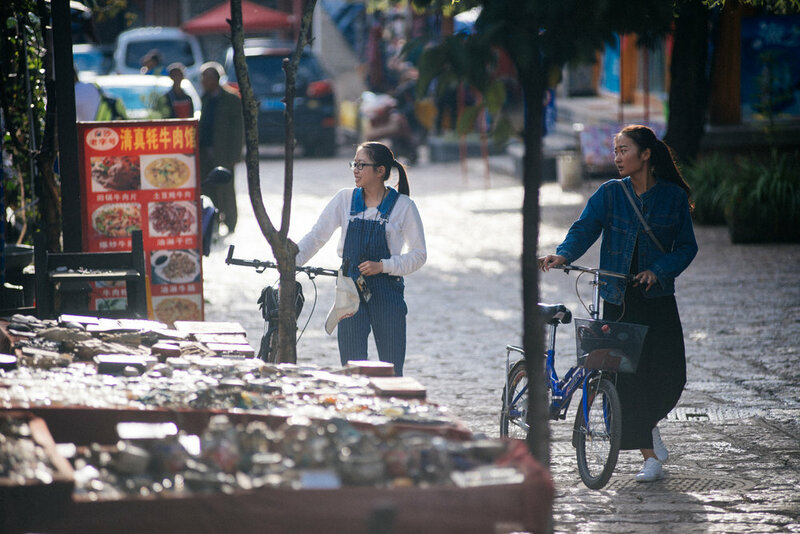 Bicycles and motorized three-wheelers are the most used means of transportation in Baisha. 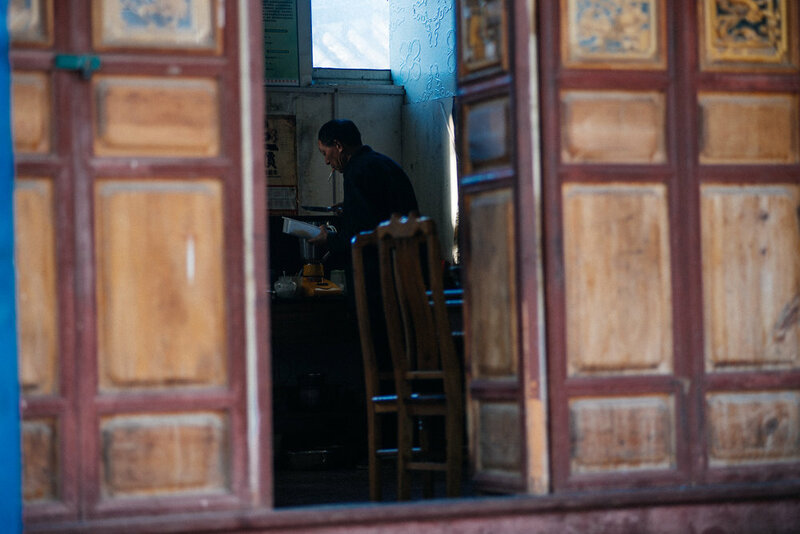 A man prepares food for a large group of monks. Despite being ancient and traditional, electronic rides have arrived in this small town. Woman waits for customers to sell fruit from her basket. Group of Naxi women enter a restaurant in the evening. 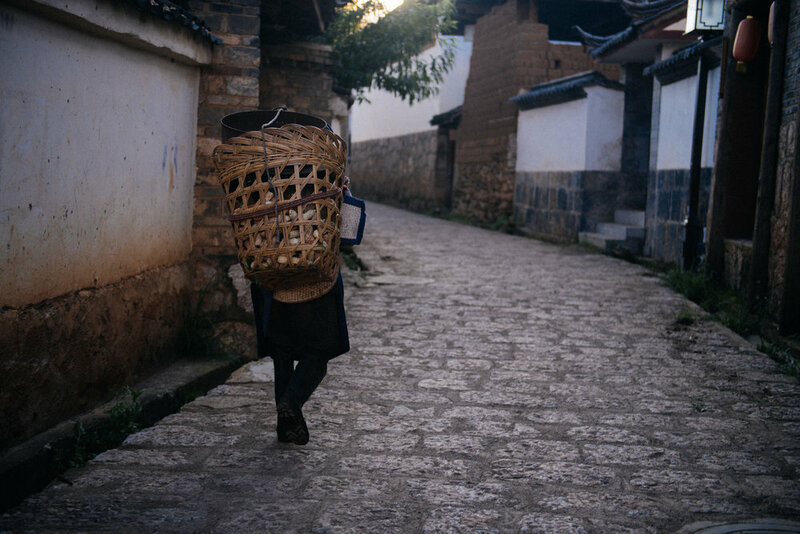 A bit before sunset, a Naxi woman returns home with a basket full of corn. 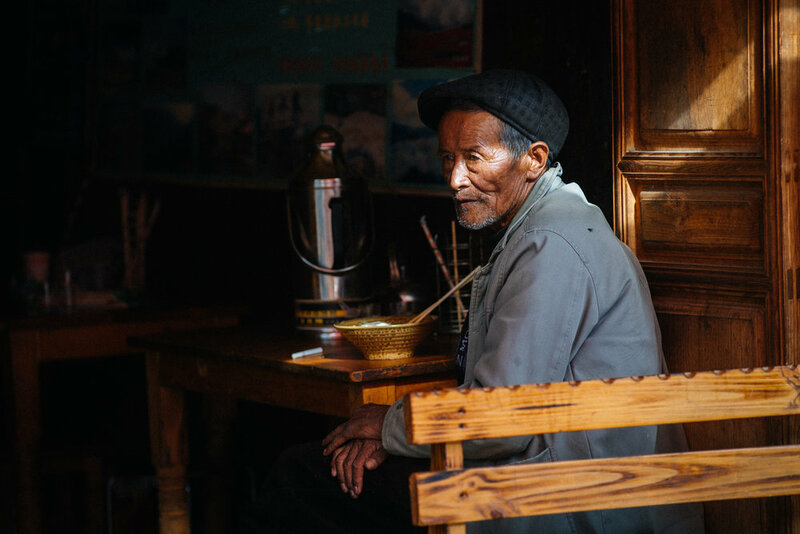 On the foothills of the Himalayas there is this tiny Chinese village called Baisha. 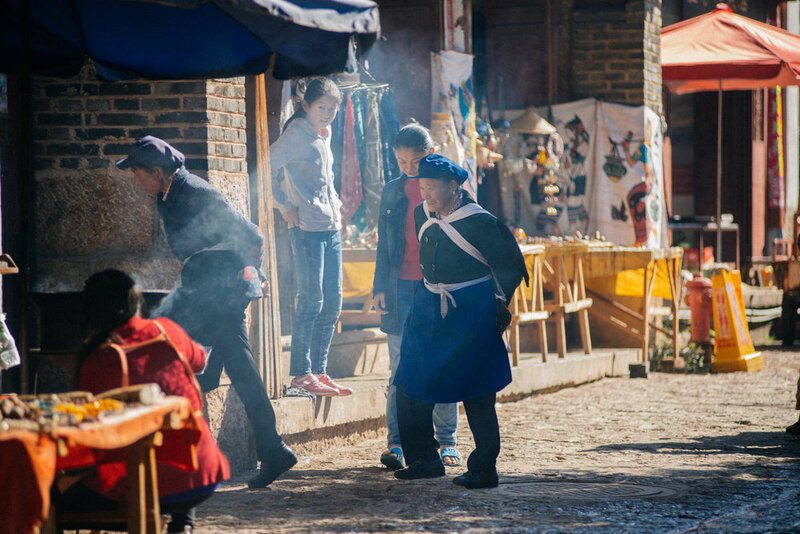 It is one of the oldest in the region, having its roots in the Tang Dynasty (618 - 907 AD) and home to the Naxi people. 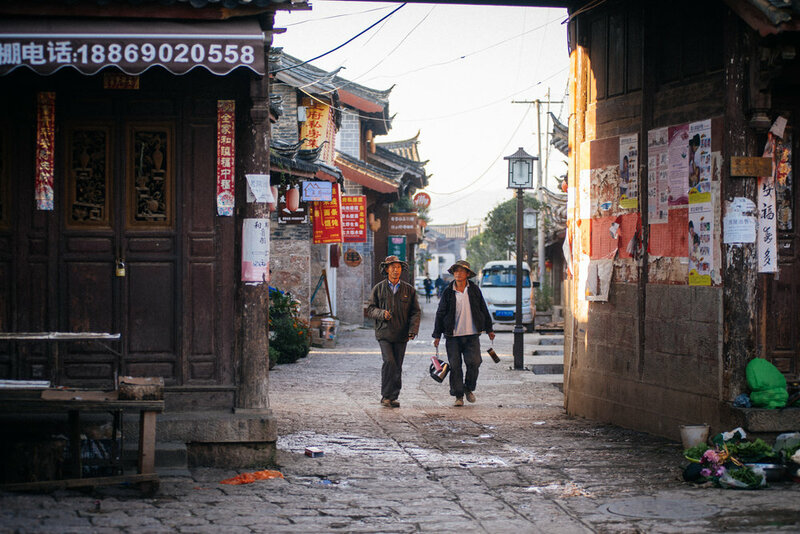 With its cobblestone streets, fresh air, and ancient constructions, you can almost feel as a fly on the wall watching this traditional Chinese town. Sihanoukville is a coastal city in Cambodia. It's the third largest after Siem Reap and the capital Phnom Penh. Just like so many other cities in the country, it is full of small villages where people live in wooden shacks. Just beside the road, only a few meters from the beach, I found this group of houses. Siem Reap: rain and shine; night or day. Southeast Asia is known for its lengthy rainy seasons. And when it rains, it RAINS. During the monsoon season, water pours for about half an hour at a time, but the volume is enough to flood everything. Days usually start with a beautiful blue sky, the suddenly turns to an apocalyptic gray. You barely have time to find shelter and hell breaks loose. Siem Reap is probably the most touristic city in Cambodia. There are several markets with little trinkets and cheap t-shirts where foreigners flock to get souvenirs. This is not one of them. This is an authentic Cambodian market, off the tourist path, where no one speaks English and all you can get are groceries and a hair cut. Cambodia is a poor country. A lot of what I saw in this Southeast-Asian country was very similar to what I'm used to back home in Brazil. The similarities are amazing, starting with the vegetation, the climate and the way people live. If I didn't know I was in Cambodia, just looking at the landscape, I'd say I'm somewhere in the Brazilian Mata Atlântica.